Use: Massage Shampoo into wet hair and scalp (or washcloth for bodywash). After working up lather, rinse thoroughly and repeat as necessary. 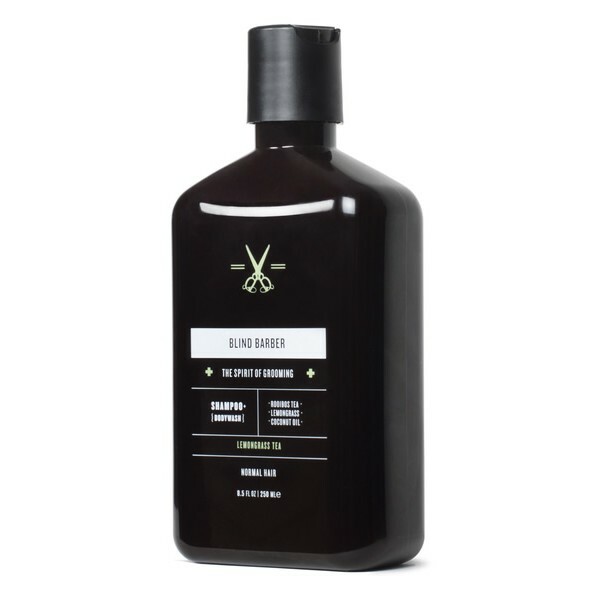 Follow with Blind Barber Lemongrass Conditioner to leave your hair clean and smooth, just like you, handsome. 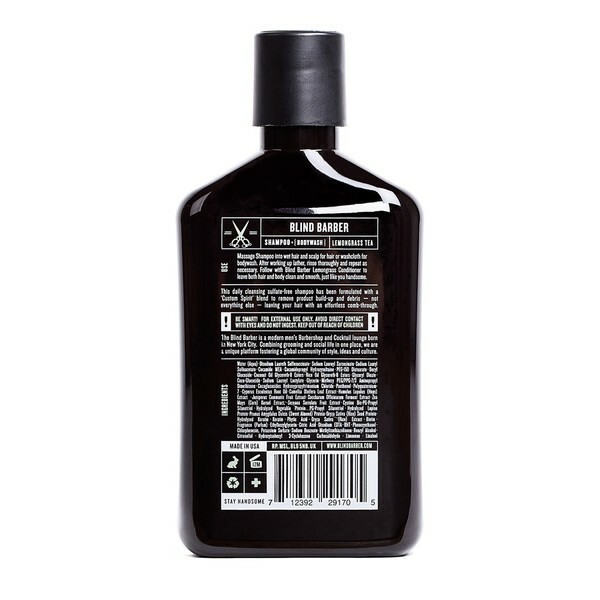 This daily cleansing, sulfate-free shampoo has been formulated with a "Custom Spirit" blend to remove product and build-up and debris - not everything else -- leaving your hair with an effortless comb-through.